Money market funds have been pitched to investors as an alternative to liquid funds. It is apparently good for those investors who are keen to invest in safer short term money market instruments. An ideal money market fund is supposed to do efficient utilisation of idle cash in bank account, and provide you a low risk exposure amongst various short term investment avenues. But, the word low risk is a misnomer after what happened to the Rs 800-crore Tata Money Market Fund (erstwhile Tata Liquid Fund), which witnessed a nearly 6% decline in its NAV on Oct 29. The massive fall in this money market fund, which is in a category that is compared to bank FDs, is shocking. This fall is unprecedented too. Exposure to IL&FS debt securities and write-off on the value of those papers has led to the 6% NAV drop in one day. Money market funds really struggle to provide 6% return in a year. So, losing 6% in one day is scary. The bigger question is this: Are money market funds safe? RupeeIQ gives you a low-down on the subject. This category of funds offers 16 options to investors. There are funds that manage a few crores, to a few hundred crores and a few thousand crores. 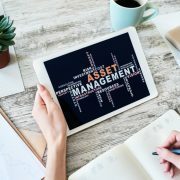 The money market funds category is meant for investors looking for a low-risk, low-volatility fund. The fund manager aims at offering reasonable returns to investors who are looking to park short-term cash. So, losing that cash is not part of the deal. Typically, money market funds invest in money market instruments due to their low interest rate and credit risk along with high relative liquidity as compared to corporate debt instruments. But, departures happen. The IL&FS saga has exposed the risk in debt funds. We have already written here about how liquid funds were hit. A few credit risk funds too were impacted. Now, at least one money market fund has seen losses up, close and personal. As many as 13 AMCs had some exposure to IL&FS debt securities. So, when the IL&FS group started defaulting on debt repayments, there was bound to be impact. We at RupeeIQ have debated on this issue internally. 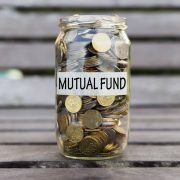 In fact, we have debated on whether the case of Tata Money Market Fund is an outlier or a sign of things to come in other funds. Truthfully, nobody knows from where the next default-like situation or crisis will appear. We are on the same page with most investors on this. We don’t know where the crisis is coming from and when is it coming. But, debt fund managers are expected to know more than us. At least, this is why we pay money management fees to fund-houses. Credit selection is an important job. We have seen what happens when wrong credit is chosen. If 13 AMCs had exposure to IL&FS debt securities, it shows a few things. One, even debt fund managers do not really know what’s about to hit them. Two, today these 13 AMCs including Tata MF have been caught on the wrong-foot. Who can tell if the others will be caught holding sub-optimal debt in future? Three, debt funds despite whatever returns show are not 100% safe like bank FDs. In case of bank FDs, you can never lose the principal. The interest is also guaranteed. 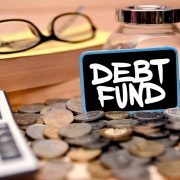 It is not so in debt funds, even if they can offer you potentially higher post-tax returns. Higher returns come with higher risks. Money market funds portfolios should have very high liquidity, minimum volatility and near zero chances of capital loss. This means there should be zero chance that risk of default of interest and principal would be there. How do you ensure that? A fund manager can do that by prioritising safety and liquidity over returns while investing on behalf of such funds. One easy way is to avoid exposure to private sector corporations and invest only in government securities, treasury bills and highest quality instruments issued by public sector undertakings (PSU) if available. Of course, it is easier said than done. The IL&FS default incident should be seen along with many such instances in last few years. 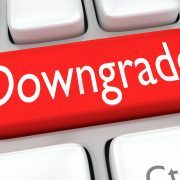 Credit rating downgrades or defaults in companies like Amtek Auto, Jindal Steel & Power (JSPL), Ballarpur Industries Ltd etc. have earlier also impacted debt funds. By investing in IL&FS debt securities, Tata Money Market Fund exposed its investors to risk. Now, the risk has manifested. As a result, nearly 6% drop in NAV has to be digested by the fund investors.